It’s a varied episode this week – we’ve got a worm’s neuronal wiring graph, bitcoin explorers, a DataKind DeepDive, and more. This week’s featured community member is Christophe Willemsen, Principal Consultant at Neo4j Solutions Partner GraphAware. Christophe came to fame in the Neo4j community by creating Graphgen – a tool that allows you to generate test data for your graph database. He’s since gone on to build the Neo4j PHP driver and this week released a new version of Neo4j PHP OGM – an object graph mapper for Neo4j. He’s also presented several talks at GraphConnect, Neo4j’s bi-annual user conference, and the video of his talk ‘Cypher: Write Fast and Furious’ was published this week. The coolest use of graphs this week goes to the Worm Circuitry Explorer which stores the connectome (neuronal wiring diagram) of a worm in Neo4j and has an amazing d3.js interactive visualization. We were lucky enough to have Greg Walker, the creator of learnmeabitcoin, present at the London Neo4j meetup this week. Greg has stored the entire bitcoin blockchain in Neo4j and updates it every 10 minutes when new transactions are confirmed. The bitcoin graph contains over 1 billion nodes and 2 billion relationships. You can learn more from Greg’s slides. Stéphane Traumat released version 0.4 of blockchain2graph – a tool that extracts information from the bitcoin blockchain and inserts them into Neo4j. This release contains performance improvements and now has relationships between previous and next block in the chain. Adam Hill presented Diving into UK corporation ownership with Neo4j at the Neo4j London meetup. In the talk Adam describes his participation in the DataKind Global Witness event where the goal was to uncover potential corruption using open data. Adam and his team loaded the data into Neo4j and queried for tax havens, mega owners, and complicated corporate structures. The government is now investigating some of the companies and individuals identified as non compliant. If you’re interested in doing this type of data analysis and you’ll be in London in May, join our data journalism focused GraphHack on 10th May. Dr. GP Pulipaka shared Nicole White’s Graph Connect Europe 2016 talk showing how to do real time recommendations with Neo4j. Ryan Boyd showed how he built the Neo4j sandbox using Docker, AWS Lambda, Auth0, and more at the Neo4j online meetup. You can also grab the slides from his talk. Magbic Aleman got started with Neo4j last weekend and has now got a Go server up and running that serves Neo4j data via GraphQL. Maybe this is the weekend that you try Neo4j out for the first time?! Jesús Barrasa shows how you can learn a taxonomy from tagged data using just a few Cypher queries. If you’ve got tagged data this technique is well worth a try for finding the latent structure between those tags. If you want to do something hands on with Neo4j this week there’s lots of goodies to play with. We released Neo4j 3.2.0-alpha07 which contains composite indexes – a long requested feature. Give it a try and let us know how you get on. On my GitHub travels I also came across a couple of other interesting Neo4j based projects that have been recently updated. deepamehta is a platform for collaboration and knowledge management that uses Neo4j under the covers and released 4.8.6 a few weeks ago. This week also featured interviews with Neo4j’s CEO, Emil Eifrem, and our Chief Scientist, Dr Jim Webber. 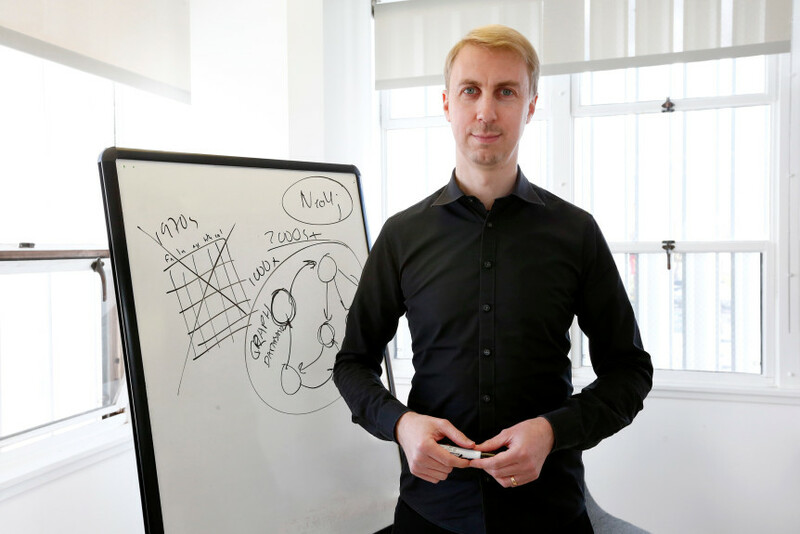 Emil was interviewed by the San Jose Mercury News in an article which talks through use cases of Neo4j from the ICIJ’s Panama papers to eBay’s same day delivery service. Part 2 of Emil’s interview with Forbes was posted in which Emil describes how he created the graph databases category and got early adoption of the product. Jim was interviewed as part of a Q&A series with data engineers on ODBMS.org. Topics discussed include ACID, BASE, CAP and the trade off between capacity, scale, and performance. So what’s there happening next week in the world of graphs? On Wednesday April 5th, 2017 Pieter Cailliau will present Graph Databases for Real-time recommendation engines at the Neo4j Manchester meetup. On Thursday April 6th, 2017 David Dyball will present Real time art recommendations with Neo4j at the Neo4j Online meetup. We’re going to try a chat based format this week so come along with your questions, it will be interactive! I’m going to cheat this week and have two tweets of the week! First up is a tweet by Dan North in response to one by Anil Dash asking who’s doing the best job of developer relations in their respective communities. @anildash @andypiper IME @jetbrains (@hhariri and @trisha_gee), Spring Boot (@starbuxman), @neo4j (@mesirii) are exemplary. If you’ve been around the Neo4j community for a little while you’ve probably had @mesirii (aka Michael Hunger) reply to one of your questions on Slack or Stack Overflow at 3am, irrespective of the day of the week. On behalf of the community, thanks for all your help Michael! My other favourite tweet was by Lauri Halkosaari who’s just started learning Neo4j and got up and running in 5 minutes. That’s all for this week. We’ve posted on a Sunday this time due to the post on renaming our database that went out yesterday but we’ll be back next Saturday.